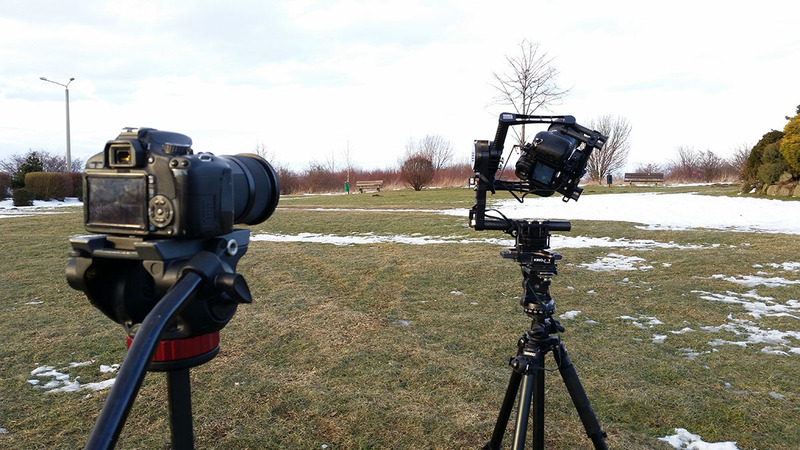 Some time ago I’ve made an article about using scripts for timelapse purposes with an Alexmos controller based 3 axis stabilizer. Thanks to that article I was told about new features of the beta firmware. Finally, there is a proper timelapse function. Not perfect, but I really like that, way more than scripts 😉 You can find pros and cons list at the bottom of this article. That’s one of the disadvantages for this feature – for now it has to be set-up using the desktop app (of course I’ll update this tutorial if anything would change). Now everything you need is in the service tab. You’ve got to assign the “Setup and start time-lapse motion” (at the bottom of the list) to one position, for example 4 clicks of the menu button. Now it’s time to set-up the timelapse duration (the duration of the shot, not the final timelapse video). Testing that feature I found out that it’s quite tricky, but it turns out it’s better than I thought 😉 At the top right choose the first profile. 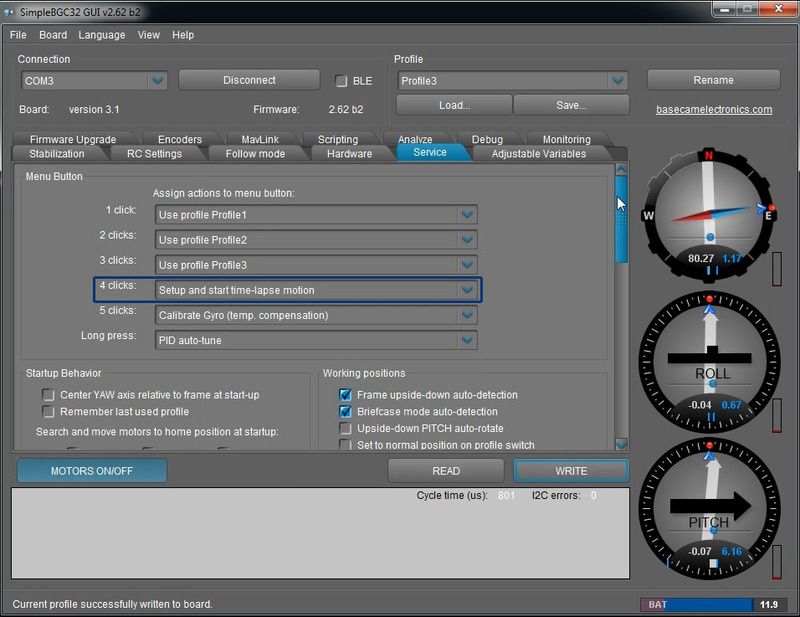 You can save three different durations to the profiles (or 4 if you’re using 4 profiles to operate the gimbal). You’ll find how to use them in the next section. If you don’t see the features I talk about, go to the ‘View‘ menu at the top >> View level >> Expert. You can put your own values here (even longer) and change it any time you connect the gimbal to the app. This device can move extremely slow, most of the times I can’t even see the movement. There are two things you’ve got to have in mind doing that: Be sure you’re in the right, not a random profile and hit WRITE on each profile – the Write button saves only the changes for the profile you’re in. The second parameter you can call the After Effects ‘easy ease’ equivalent. It’s ramping your movement. It’s really great if you want to, for example, left the camera shooting after the programmed movement. Then you’ve got really subtle transition from the movement to static timelapse. It’s a percent of the time that should be used to slow down the movement. For example, when my shot duration is set to 900 seconds, and the Acceleration is 10%, the controller would use 90 seconds of the movement to slowly stop the gimbal. You can experiment with different values or stay with deafult 10 sec. The frame angles are fixed should be checked, if you’re using the stabilizer on the tripod (just for Timelapse movement, not all the time). It eliminates really annoying problem of gyroscope drift. I was writing about that in my script tutorial. All you need to know now – if it’s checked, you won’t have that problem 😉 And it’s really awesome! The shooting is suprisingly easy, however you need to know a few things to choose the right duration 😉 While I was testing that I discovered, that the timelapse duration depends on the gimbal profile that is set before starting the timelapse motion. At the beginning it was a little bit frustrating, because I didn’t know what is happening (it’s not described in the manual). As soon as I found out what’s going on, it was good news, because I don’t have to stay with only one duration saved to the device. So, choosing the timelapse duration is all about which profile is active in your gimbal when you start the “Setup and start timelapse motion” function. If you’ve got the buzzer enabled, the gimbal would emit sound when the movement will be done. One of the biggest disadvantages of this solution is that you get only constant movement. There isn’t a move-shot-move function, so you can’t use really long shutter speeds. If you want to learn why you should use longer exposure times, check out this article: Should you use ND filters? Motion Blur in Timelapse. I hope you like that article, and video prepared specialy for you 😉 Let me know in the comments what do you think about it and of course I can’t wait to see your shots with this technique 🙂 Don’t forget to like my fanpage and subscribe to the newsletter. hi, What is the name of gimbal? Hey, my device is Easystab v2 pro. This feature will work on every gimbal on Alexmos, so also came TV, beholder, pilotfly and a few more. Hi! Nice article!! I’ve got a beholder ds1, do yoy know how it works with this gimbal? Lot of thnks!! I was wondering if setting the profiles to timelapse will affect the “normal” use of the profiles. Or will this profile function only be activated by clicking the menu button? Hey, thank you 🙂 No, it won’t affect the profiles. The profiles only keep the information about duration, the timelapse motion itself should be saved to the menu button position, where there isn’t a profile you use (so in my tutorial it’s 4 clicks). Great, does it work on Crane ghimbal? I have one question. I’ve set everything up and it’s working well. But after I set the end frame, and then activate the time-lapse (by clicking 4 times) the gimbal struggles against me as I move it into the starting position. Does that happen to you as well? Yeah, had the same “problems”, i think with smaller gimbals like the ds1 this whole thing is a bit harder. Thanks for the reply. Good to know. I’ll try just using the joystick then. Thanks so much Antil12. Tried it this morning and totally works! 2. Long press to toggle motor off. 4. Three Clicks to activate profile 3 (in my case). 5. 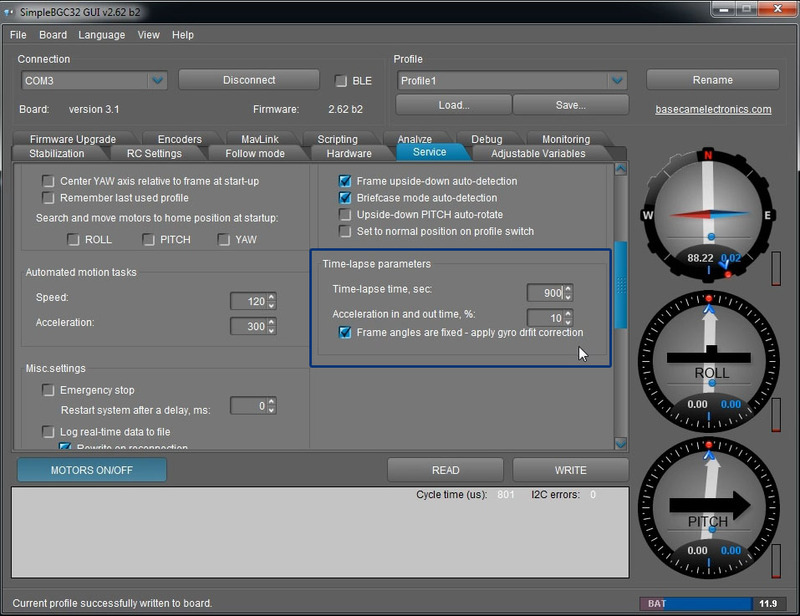 Four clicks to activate time-lapse, and position first position. @john Do you have Beholder DS1? I have some problem with it, seems liike multiple pressing the button does not change profile properly. I’ve never use other profiles than default and it was activated after turning on and then chicken mode after just pressing button once. Any help here? But with my gimbal, it jumps back in “normal” position when i put on motors again..
No need to turn on the Motors again before starting time-lapse. The time-lapse feature will enable the Mortors all by itself. Oh that s good news, thank you! Hi Anti12, can you please contact me? I have Beholder ds1 and a lot of problems with timelapse function. And cant get any help from the vendor. Hello again. Just wanted to say thanks again for the info, and share a quick video showing my first results. Where did you get V262 b2 from I can only see 2.60 on base cam web site? I have question about slider. It is impossible to use it that way? What are the problems? And why it is not possible to use it while driving? The movement is not continuous anymore? Hey Tom! Thanks a lot for this tutorial. I am trying to make it work on my CameTV – Optimus. I have installed a new version and now i am in BGC32 GUI V2.63 b0, and can finally see the timelapse option from the SERVICE menu. I heard of problems with update on Mac. If you can – try to find anything on Windows and update there. I made my own gimbal with simplebgc I definitely recommend windows. When You activate de timelapse with the click the motors go off ? Dude, great article! I bought a Came Optimus for this to find out it was running the wrong firmware version out of the box. I was a bit scared to update the firmware because of all the warnings on the Came TV website. They even send me a mail containing the clear message to NEVER UPDATE. After backing up all my profiles using simpleBGC in case I had to revert the firmware after update I found the nerve to flash the firmware. And now the timelapse function works! Can’t wait to make some nice moving timelapses soon. Thanx again mate, you ROCK! Hi Tomasz, thanks for the post. Do you know if Zhiyun have released the updated software to enable this on the Crane or Crane 2? 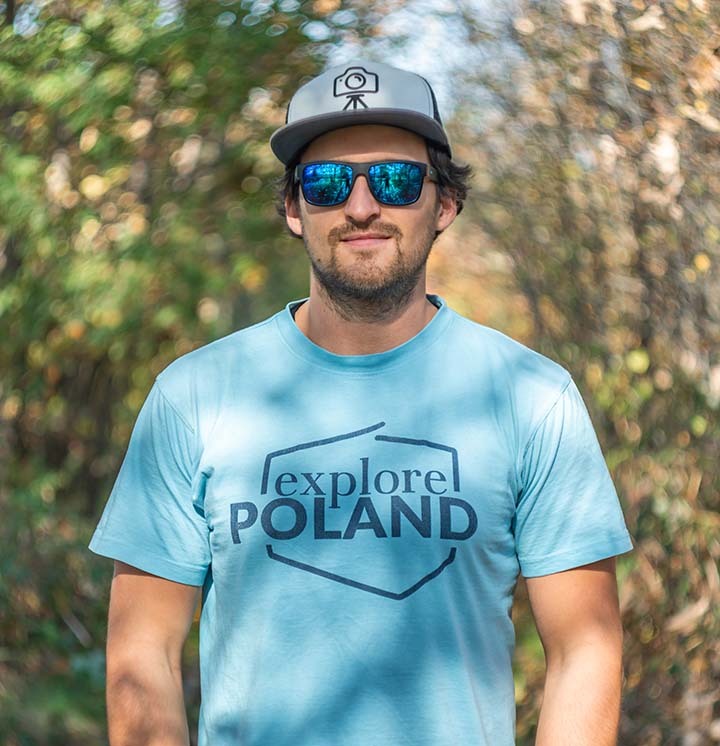 Hej, jak mogę podpiąć gimbala pod statyw? Macie jakieś specjalne złączki?